Clair E. Baker, 90 years, of Ney, passed away Friday evening, October 9, 2015 at Parkview Regional Medical Center, Fort Wayne, Indiana. Clair was born April 29, 1925 in Bryan, Ohio, the son of the late John W. and Alta June (Koch) Baker. 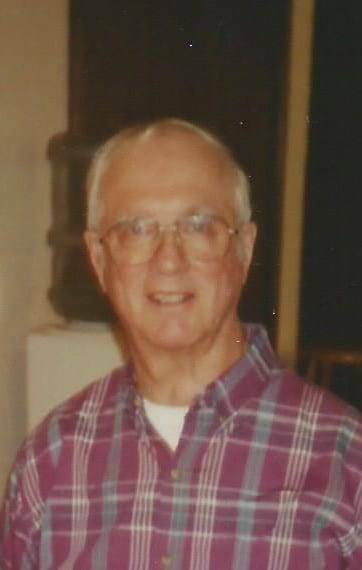 He was a 1943 graduate of Washington Township (Ney) High School. Clair served in the United States Army during World War II. He married Arva Jane Meyer on October 18, 1953 in West Unity, Ohio, and she preceded him in death on January 6, 2001. Clair worked for General Motors Central Foundry in Defiance for 37 years, retiring in 1990. He was a member of the Victory Barn Church in rural Edgerton. He was also a member of the Ney American Legion Post 680. Clair served as a volunteer, working at the Free Store in Edgerton for many years, recently retiring in the spring of 2015. Clair enjoyed reading and putting together puzzles, but he found his greatest joy in caring for his farm and the machinery and watching the crops grow. Surviving is his son, Erie E. Baker of Ney, Ohio; one brother, Alan Baker of Gladstone, Missouri and one sister, Marilyn Hahn of Bristol, Connecticut. He was preceded in death by his parents, his wife, Arva, one daughter, Jayne Teresa Baker and two brothers, Lyle and Edgar Baker. Visitation for Clair E. Baker will be held Wednesday, October 14, 2015 from 2:00 – 4:00 and 6:00 – 8:00 p.m. in the Oberlin-Turnbull Funeral Home, 206 North Lynn Street, Bryan. Funeral services for Clair E. Baker will be held at 11:00 a.m. Thursday, October 15, 2015 in the funeral home with Pastor Rosene Short Moseley officiating. Interment will follow in Ney Cemetery with Military Graveside Rites conducted by the Ney American Legion Post 680. Those planning an expression of sympathy are asked to consider memorial contributions be made to The Victory Barn Church, or to the Edgerton Free Store. Be the first to comment on "Clair E. Baker"